In Boyers, Pa., a recently opened 2,000-sq.-ft. data center has been purpose-built to protect against an electromagnetic pulse (EMP), either generated by a solar storm or a nuclear event. The company that built the facility isn't disclosing exactly how the data center was constructed or what materials were used. But broadly, it did say that the structure has an inner skin and an outer skin that use a combination of thicknesses and metals to provide EMP protection. 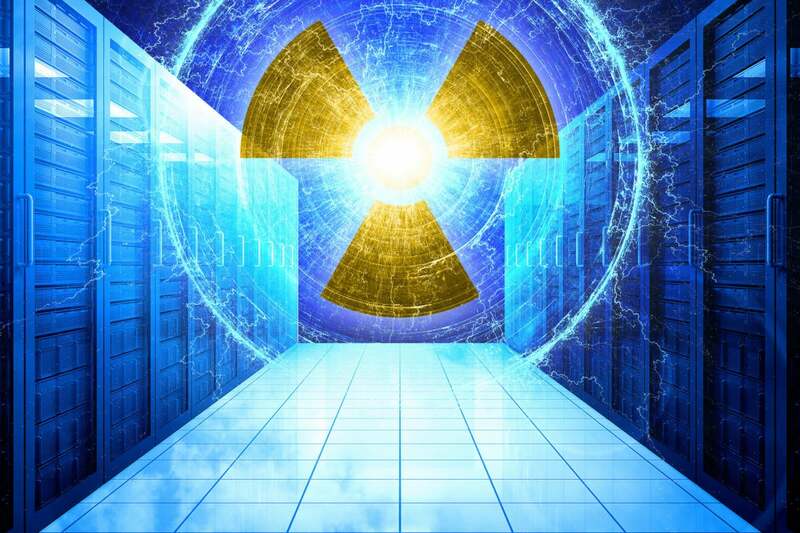 There are other data centers that protect against electromagnetic pulses, which can be generated by solar storms or high-altitude nuclear blasts. Underground data centers, in particular, advertise this capability. And some vendors offer containers and cabinets that shield IT equipment from EMPs, which can fry circuits. But there's been little discussion, overall, about whether EMP protection should be a standard risk mitigation feature in data centers. The two solar storms that began arriving Thursday night aren't strong enough to hurt electronics on the ground, though they could disrupt GPS and radio communications. More than anything, they're a reminder of a risk that is the subject of steady warnings but isn't immediate enough to spur people to do much about it -- though it is real enough to inspire visions of apocalyptic scenarios among Washington policy makers. Betting against an EMP event is a gamble. On July 23, 2012, a solar super storm released a coronal mass ejection (CME) that passed through the Earth's orbit but missed the Earth itself. It is believed to have been as powerful as the 1859 Carrington Event, a solar storm that disrupted and knocked out the most advanced electronic communications medium of the day, the telegraph. The perfect solar storm would require a big sun spot cluster and a very rapid CME, and the magnetic field inside the solar storm would have to couple perfectly with the Earth's magnetic field. If that happened, the consequences could be significant, William Murtagh, program coordinator at U.S. Space Weather Prediction Center, said Thursday. "We're concerned that can happen," he said about the prospect of a major solar storm hitting the Earth. The 2012 solar storm "was very powerful, and some have suggested it would have been on par with a Carrington-level event." But that particular storm was not directed at the Earth, he said. EMP protection can be built into a data center at very little additional cost, said Kris Domich, president of Cyber Innovation Labs - Professional Services (CIL). The company is the founding member of EMP Grid Services, a recently formed company responsible for the EMP-ready data center in Boyers, Pa. CIL provides infrastructure services. Domich said the idea for the EMP-resistant data center came from a customer, an insurer, that wanted to protect its data from electromagnetic pulses. An EMP can "irrevocably destroy" data, said Domich. The magnetic field on a disk that is used to set the data, if not maintained, or if it is abruptly or intensely changed, will wipe out the data, he said. Lee Kirby, CTO of the Uptime Institute, a data center advisory and research group, said that EMP risks are not high on the list of things that data center managers worry about. But he said that may be more because of the newness of this industry. "When you look at it from a business justification viewpoint, [EMP protection] gets pushed way down the line, just from a probability point of view," Kirby said. Nonetheless, he said, the threat of electromagnetic pulses could become a topic of much discussion for data center professionals. There have been a number of government reports, as well as congressional hearings, detailing the threats posed by EMPs. The idea that an EMP could be generated by a terrorist-sponsored nuclear blast is getting more attention, particularly because of concerns about North Korea and Iran. A nuclear blast 60 miles up in the atmosphere could expose about 1.5 million square miles of territory to EMP impacts that could, among other things, knock out SCADA systems that help run the infrastructure of electric and water utilities and oil and gas pipeline systems. The loss of electric power over a substantial period of time is "likely to be catastrophic, and many people may ultimately die for lack of the basic elements necessary to sustain life in dense urban and suburban communities," according to a 2008 U.S. government report that examined the effects of an EMP event. Repairing the power grid could take four to 10 years, and the economic cost could exceed $2 trillion. EMPs send out a pulse of energy that can short-circuit electronics in everything from cellphones and computers in cars to enterprise networks. EMP-generating devices are not necessarily nuclear, and they can be built with over-the-counter parts. Congress has held repeated hearings over the years, particularly since the 9/11 attacks in 2001, and there have been a number of government reports that describe the consequences. But there is no action plan, and the need for EMP protection sits lower on the list of public-sector priorities than increasingly costly infrastructure projects, such as efforts to repair or replace aging bridges, roads and water lines. The problem may that EMPs are not seen as an immediate threat. According to one government estimate, made by intelligence agencies, a crippling solar geomagnetic storm is unlikely to occur more than once in 100 years. A U.S. House bill, the Critical Infrastructure Protection Act (HR 3410), requires the government to give more attention to EMP disaster planning and to "proactively educate" the owners of critical infrastructure about the threat of electromagnetic pulses. But it has not advanced beyond a committee in this Congress.